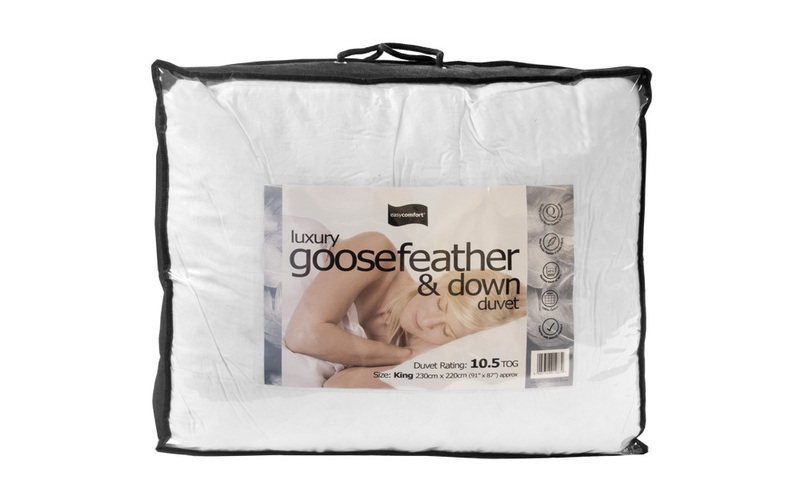 The Luxury 10.5 Tog Hungarian Goosefeather and Down Duvet is luxuriously comfy yet lightweight. Filled with a sumptuous mix of goose down and feathers, this duvet is highly insulated and made from entirely natural materials. The cooling cotton cover includes pocket stitching to ensure all the plush down fillings are secured for years of excellent use. This item is machine washable and available with Free Delivery!